Bill King is principal and chief market strategist for M. Ramsey King Securities: a brokerage-based in Burr Ridge, Illinois. A true veteran of the financial markets, Bill’s spent the last 30 years working trading desks or leading trading teams on Wall Street, the Chicago Board of Options Exchange, and elsewhere. At M. Ramsey King Securities, Bill writes The King Report: a daily research report for institutional investors. Read by the largest financial institutions in the US and Europe, The King Report provides expert insights on the financial markets and the economic, financial, and political forces that shape them. 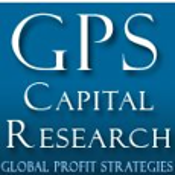 Bill also writes Market Opportunity Strategist, a weekly trading newsletter published by GPS Capital Research. With Market Opportunity Strategist, Bill shows individual investors how to play the financial markets like a pro, utilizing the same strategies employed by professional traders to produce outsized gains quickly. Bill’s research has received votes for the Institutional Investor All-American Research Team.